How good is your Mayor? 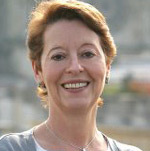 16 June 2010: Adeline Hazan has been mayor of Reims, France since March 2008. She is also President of Reims Metropole, which is the agglomeration authority for the city region. A prominent member of the PS (Parti Socialiste) in France in which she has held several senior positions within its left-wing factions during the last 20 years, Ms Hazan served in the European Parliament for seven years until 2008 representing Eastern France. Mayor Hazan has been shortlisted for the 2010 World Mayor Prize. She stepped down early from her second term after winning the mayoral election campaign in which she defeated former government minister Catherine Vautrin of the UMP. Ms Hazan was born in Paris in January 1956 and had a successful career as a judge before becoming a full-time politician. She was a Children’s judge at Nanterre High Court between 1983 and 1994 and at Paris High Court between 1995 and 1997 when she became an advisor to the Minister for Employment and Solidarity in the coalition government. That Minister was Martine Aubry, mayor of Lille and current Leader of the party, who has been something of a mentor to Adeline Hazan. Since Aubry narrowly defeated former PS presidential candidate Ségolène Royal for the party leadership, Hazan belongs to the ‘Aubryists’ wing of the party. Whilst at the European Parliament Mayor Hazan established a reputation for her commitment to equal treatment and respect for minorities in Europe. She was a member of the Committee on Civil Liberties, Justice and Home Affairs and served on delegations to the European  Mediterranean Parliamentary Assembly and on relations with the Maghreb and Mashree countries. “The responsibility of elected officials is two-fold. It is our responsibility to improve the experience of daily life for our citizens in the immediate future providing good public service, dealing with economic crisis and social consequences and preventing anti-social behaviour and physical degradation of public space. The opening of the high-speed train network LGV Est in 2007 has been an opportunity for Reims to attract inward investment by persuading companies to re-locate from Paris and also for some of its population to commute to the capital. Hazan is focussed on the additional potential it provides to develop new sustainable mixed use quarters around both the Champagne Ardennes Station on the LGV south of the city and Reims station within it. Adeline Hazan has inherited some important schemes which she is promoting heavily. Notable amongst these is the city’s first modern tramway line on a 12 kms north south corridor which will open for business in April 2011. It is the first tramway scheme in France to be delivered through a public private partnership procurement and concession. Hazan says it is a fantastic opportunity to rejuvenate the face of the Reims agglomeration and the most important single infrastructure scheme to knit together the city and promote opportunity for all. 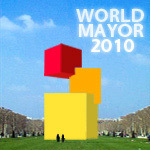 City Mayors, the international think tank on urban affairs, is seeking voting for the 2010 World Mayor Prize. The Prize, which has been awarded since 2004, honours mayors with the vision, passion and skills to make their cities incredible places to live in, work in and visit. The World Mayor Project aims to show what outstanding mayors can achieve and raise their profiles nationally and internationally.